For inbound marketing professionals, the importance of social media to a successful marketing campaign is so very important. Social media sharing sites such as Twitter, Facebook, YouTube, and Pinterest are indispensable tools of the trade when it comes to marketing content. Facebook is by the far the best platform for promoting brand awareness, as nearly three quarters of Americans adults use the site. Facebook is a great platform for promoting virtually any brand, due to its very heterogeneous user base. 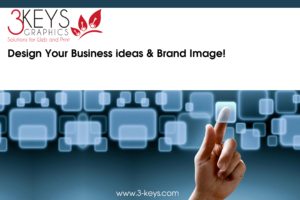 Business like Pillrite, Astute, Contact center, Aspire, Thapos have integrated with 3- keys for Social media promotion via 3-Keys Graphics. Instagram is a great option for brands that rely heavily on images, such as clothing companies and retailers. It’s also particularly effective for reaching young adults, Hispanics and African Americans. Google+ can be a great platform to reach men in the technology industry, as two-thirds of the network’s users are men, most of whom work in engineering or other technical professions.there is that statistic about the more than 500 million users. If your business only attracted 0.5% of all Google+ users to your website, that would still be 2.5 million visits to your company website, which means millions of opportunities to convert those visitors into leads, and eventually customers. Finally, if you operate a business-to-business company, LinkedIn is a stronger choice for promoting business-related content and connecting with other corporate influencers. A 2013 study from Jill Konrath and Ardath Albee revealed that 84% of users generated several business opportunities from the use of LinkedIn. A LinkedIn company page provides your business with the opportunity to tell your company’s story, engage with followers, share career opportunities, and scale your word of mouth marketing.